Are we doing some computer science logic here? Nope. 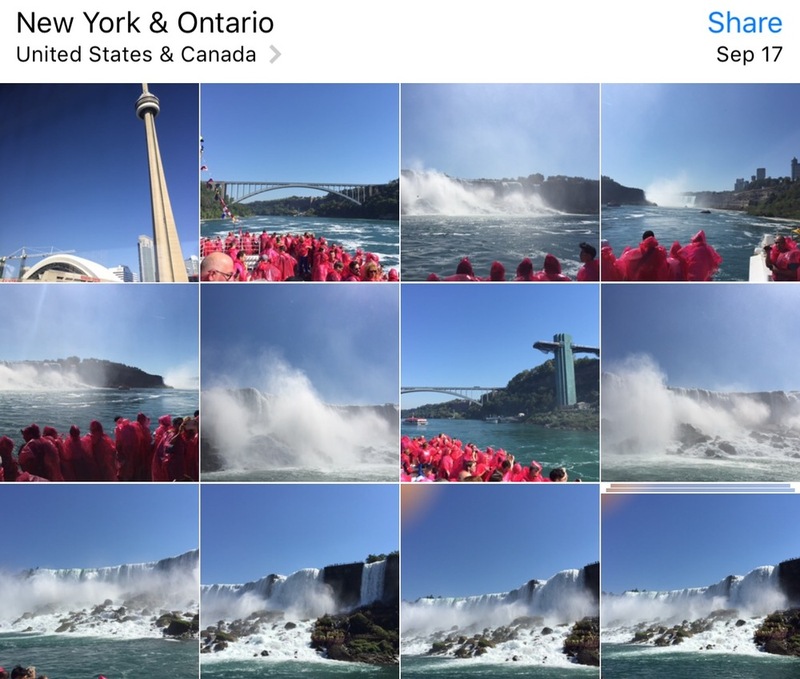 Niagara Falls is the collective name for three waterfalls on the international border between Canada and United States (can say Ontario and New York because my iPhone doesn't know where exactly I was). We decided to spend a whole day in City of Niagara Falls, Ontario but realized we didn't have any car, so I bought bus tickets from Megabus (not advertising them but their tickets are really cheap). It took about two hours from Toronto. After arriving at the destination we bought the 24-hour local WEGO bus pass. But anyway, we were there because of the falls. The first thing we did was rushing for the falls for sure. 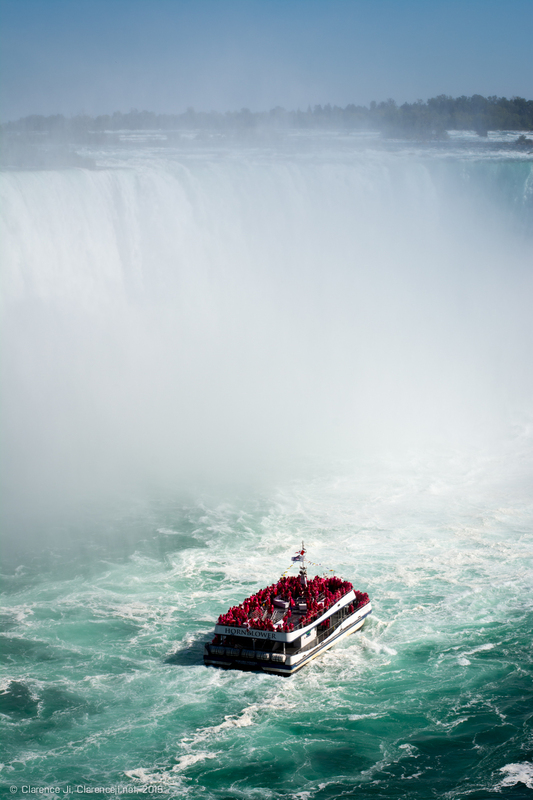 Here, if you're visiting from the Canada side, then buy tickets for Hornblower Cruises (US side is Maid of the Mist). Try to imagine the feeling when you are on a boat and slowly moving into the pouring rain made by the falls, that could be the wettest moment in your life. Towers are everywhere in Canada, even here in this small town. 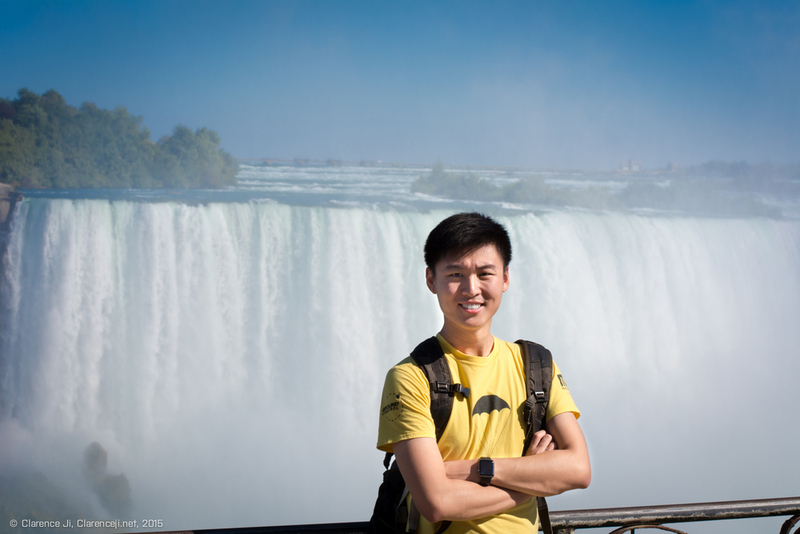 By going up to the viewing platform of Skylon Tower, you can say that you've conquered one of the seven wonders in the world. Also it's fairly easy to see what's happening on the side of the border but stop daydreaming, the iconic Empire State Building cannot be seen from there. And don't forget to walk alongside the river and you should be able to see the rainbow(s) :D.
There's also somewhere else that is worth to go and have a look. Just go to the Journey behinde the Falls you'll never be that close to the nature. Get ready for another pouring rain.